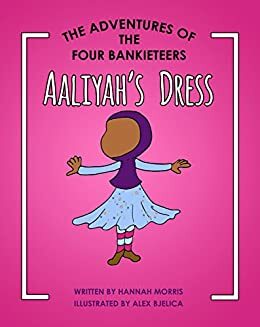 The four Bankie children are named Ahmad, Ibrahim, Aaliyah and Ja'far. Always on the lookout for an adventure, their unique qualities help guide the way and save them from trouble. Like most girls her age, Aaliyah loves wearing long, sparkly dresses that fan out when she swirls. This time her dress helps to unveil a hidden clue that takes them on an adventure to a secret adventure park. Join the Bankies in their latest adventure. How does Aaliyah’s dress unveil a clue that leads them on an adventure? How does Aaliyah’s dress save them and others?